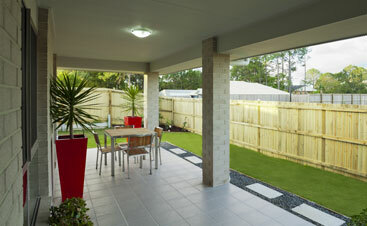 Deck Drainage Systems Brighton: What Is Moisture Intrusion and Why Does It Matter? 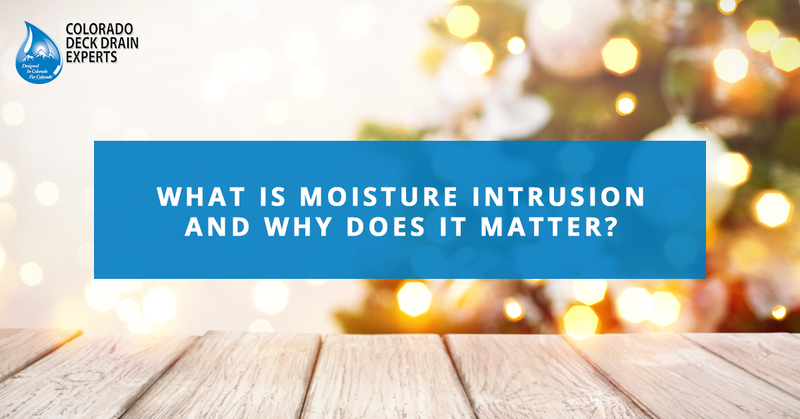 What Is Moisture Intrusion and Why Does It Matter? 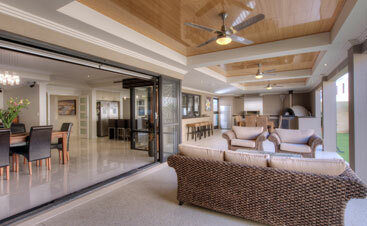 According to the United States Environmental Protection Agency (EPA), we spend about 90 percent of our time indoors. And for most people, it’s generally expected that we are safe while we are indoors. But in order to ensure our offices or homes are safe to be in (or around), there are a number of precautions that need to be considered both by contractors and the building owners themselves. One specific issue that we’ll cover today is called “moisture intrusion.” Simply put, moisture intrusion refers to any way that water may affect the safety or structural integrity of a building. As your local deck drain professionals here at Colorado Deck Drain Experts, it’s our highest priority to ensure your deck is safe and that it contributes to the overall safety of your home. Read on to learn about moisture intrusion or contact us if you have any questions. All buildings are made from a variety of materials: Concrete, wood, metal, brick, etc., and each material reacts differently to moisture. 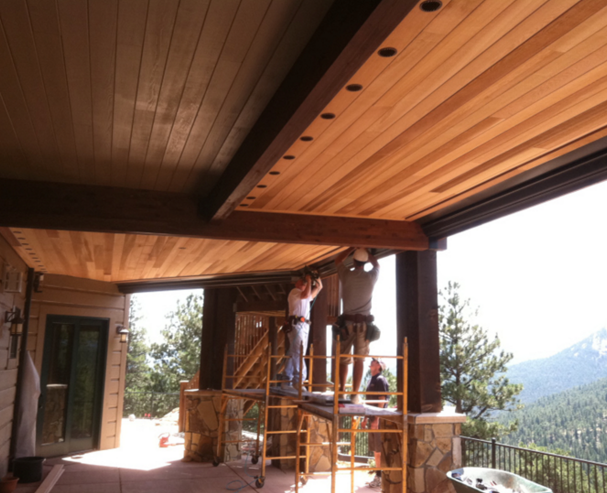 For example, if wood isn’t covered in some type of waterproof sealant, it will eventually rot and decay. Metal, on the other hand, may turn rusty and lose its structural integrity as well. If these factors aren’t accounted for when the building is constructed, the building may not be safe to use. Structural integrity isn’t the only thing you need to worry about, however. If there is a leak anywhere in your home, moisture intrusion could lead to flooding or growth of harmful allergens like mold or mildew. This could cost you thousands in home repairs or cleanup. To give you a better idea of how moisture intrusion affects your home, let’s take a look at some specific issues. 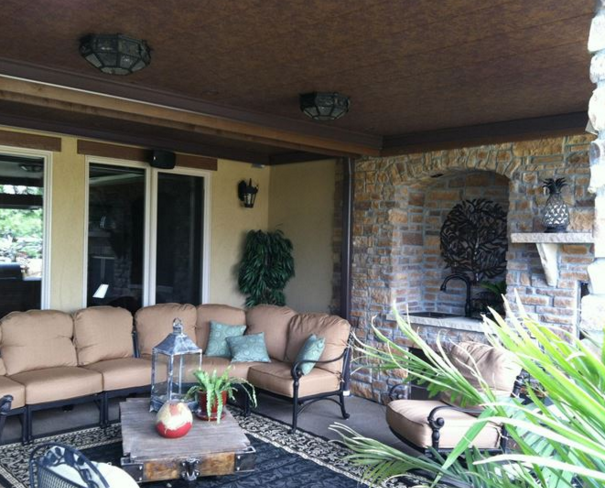 When talking about moisture intrusion, it’s only natural to start by talking about the roof. Your roof is the first and most important barrier between the inside of your home and the elements, so if it’s in poor condition, your safety could be at risk. Even a small crack in your roofing material could lead to devastating damage to your home if it’s left unchecked. In addition to acting as a barrier, your roof also plays an important role in the circulation of air throughout your home which also prevents moisture intrusion. Ice dams can form on the overhang of your roof when warm air from throughout your home leaks into the attic, causing snow on the roof to melt and slowly refreeze again. This issue may cause structural framing members to decay, metal fasteners to corrode, and mold and mildew to form in the attic walls, not to mention the potential for water damage. Oftentimes, plumbing issues can be one of the most difficult forms of moisture to detect until they cause serious damage to your home. Since there are pipes running throughout your whole home, there is a lot of potential for a water leak, burst, or loose or damaged fixture which can lead to immense damage in your home. Below are just a few of the plumbing problems you may experience in your home. Plumbing fixtures and distribution pipes are responsible for carrying a large amount of water throughout your home. If the ceiling or wall appears discolored or moist or smells musty, you may have a plumbing issue on your hands. Moisture meters can be used to check key areas of your home to ensure there are no leaks or to make sure that no flooding is present. Overflow drains are designed to reroute excess water back to a drain pipe after reaching a certain level. If the overflow drains on your toilet or bathtub overflow, this can spell serious damage for your home. 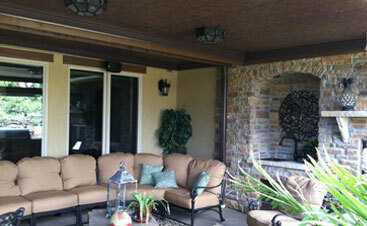 Sometimes moisture intrusion has very little to do with the home itself, and more about the climate it’s located in. In the southern United States, homeowners experience high outdoor humidity and low indoor temperature during the summer. In the north, homeowners experience high indoor humidity levels and low outdoor temperatures in the winter. Depending on what type of climate you live in, you may need to take steps to manage humidity and temperature within your home in order to avoid moisture intrusion. Humidity within the home can also be caused by running hot water, so you should make sure to ventilate the room any time you take a shower or do the dishes. Foundational damage is the silent killer for many homes and results from something called “hydrostatic pressure.” This refers to the pressure that is created by a fluid at equilibrium due to the force of gravity. If there is enough hydrostatic pressure on the foundation of your home, it may lead to cracks that lead to moisture intrusion. Rapid changes in temperature can also lead to soil swelling and shrinking which may increase the likelihood of cracks in your foundation. One good way to prevent foundational issues is to ensure that your home’s drainage is never blocked or damaged. Although there’s no hard and fast rule as to what type of drainage system should be installed on your home, the more you can prevent water from pooling near the side of your home, the better. In the fall and winter, in particular, it’s important to ensure your drains are never blocked by debris or frozen over. Whether you’re installing a new deck on your home or you have an existing one without drainage, Colorado Deck Drain Experts can help. Deck drains play into your home’s water drainage system by diverting water away from your home’s foundation. 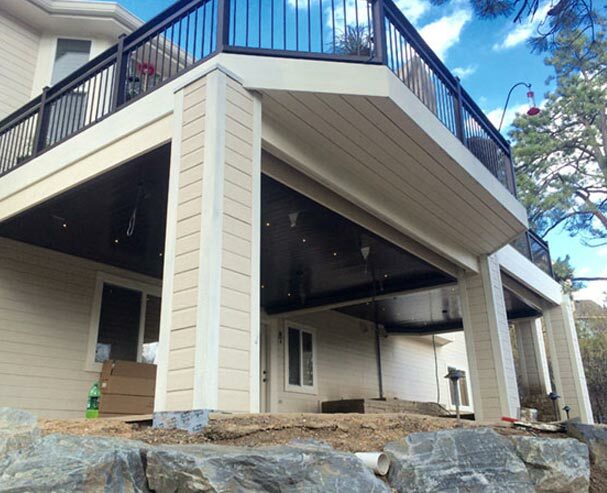 What’s more, our deck drainage systems will keep your under-deck area dry through rain and shine, allowing you to use this area all year long without getting wet. If you’d like to learn more about our deck drain installation process or you have any questions about moisture intrusion, give us a call today.